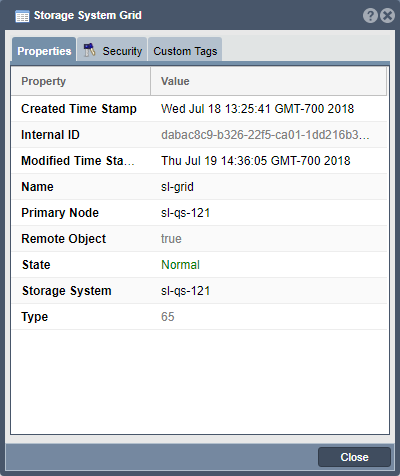 The Storage System Properties dialogue consists of three tabs: Properties, Security, and Custom Tags. 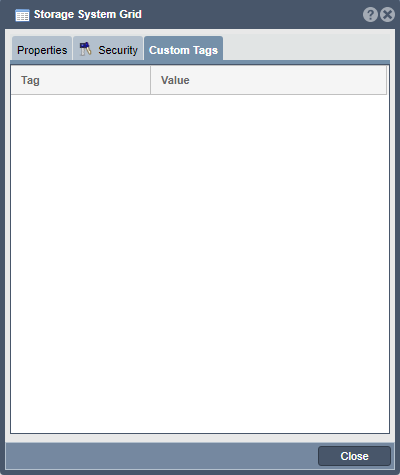 The Properties tab provides details about a particular QuantaStor object. The details vary depending upon the type of object presented. 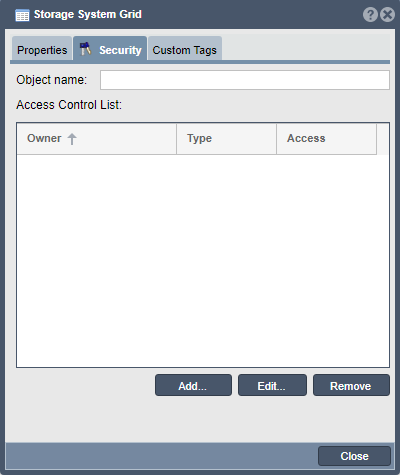 The Security tab provides administrators with the ability to control which users have access to particular objects within the Quantastor Manager. You can Add new Security ACL rules, Edit existing rules, or Remove existing rules. 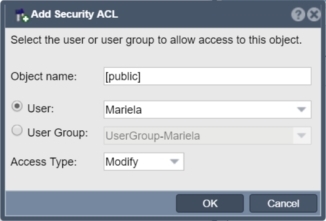 To add a new rule or edit an existing one, select the appropriate button and complete the Add Security ACL form. Two steps are required to assign a Security ACL to an object. Note: The Object name: field will be automatically populated. Choose between a User or User Group rule and select the appropriate user or group. Users and groups are configured via the Users & Clouds Tab of the QuantaStor Manager. Specify the Access Type: level to be assigned to the rule. This page was last modified on 23 July 2018, at 10:30. This page has been accessed 9,328 times.